1947. 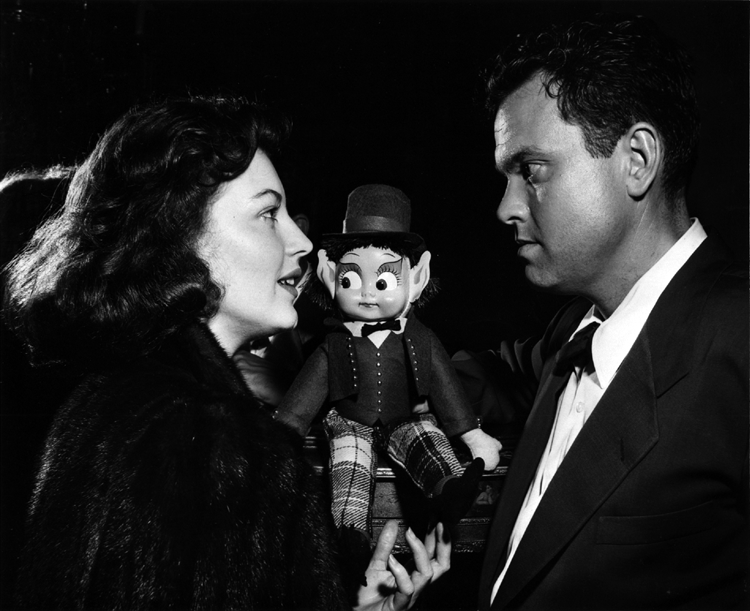 The pixie looks like he belongs to the Fun House – hence the suggestion that this photo was taken on the set of The Lady from Shanghai, supported by Welles’ suit and haircut. This is an incredibly rare image – apparently the only photo of Orson and Ava together.